The simulated lightning strike really set the tone in 2016. 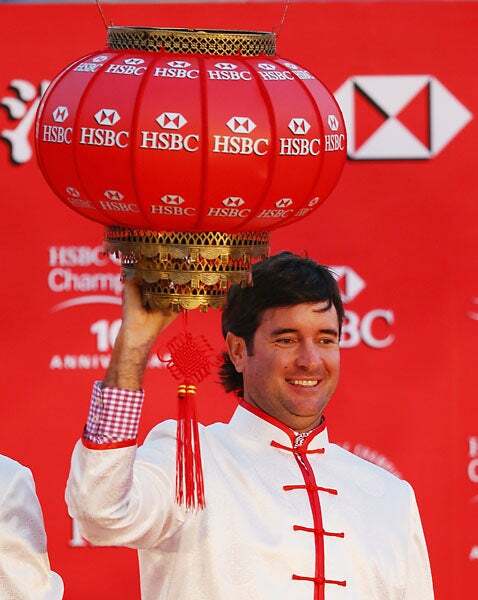 Bubba Watson sure looks comfortable, doesn't he? 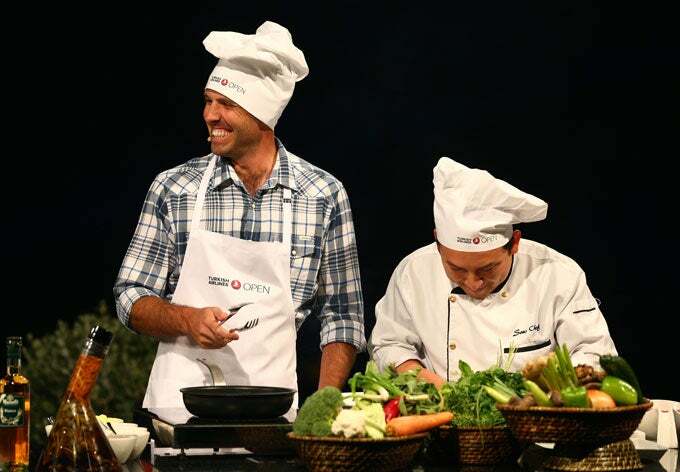 Charles Schwartzel alongside his chef, Manuel, at the Turkish Airlines 'Gourmet Golf Challenge. 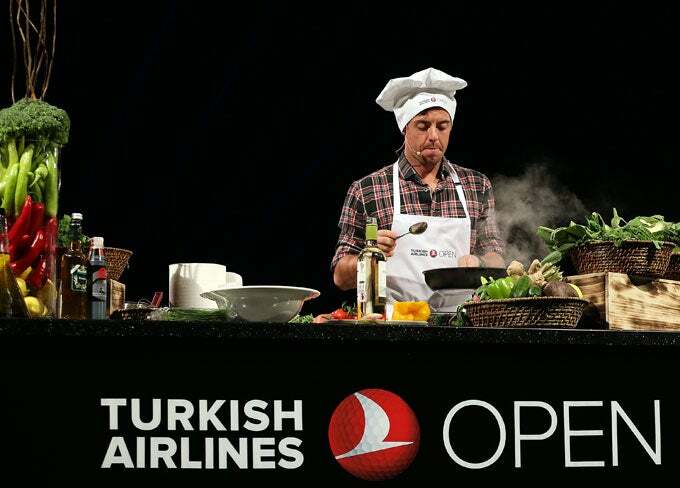 Rory McIlroy competed against Charl Schwartzel in the Turkish Airlines 'Gourmet Golf Challenge' prior to the start of the 2015 Turkish Airlines Open. 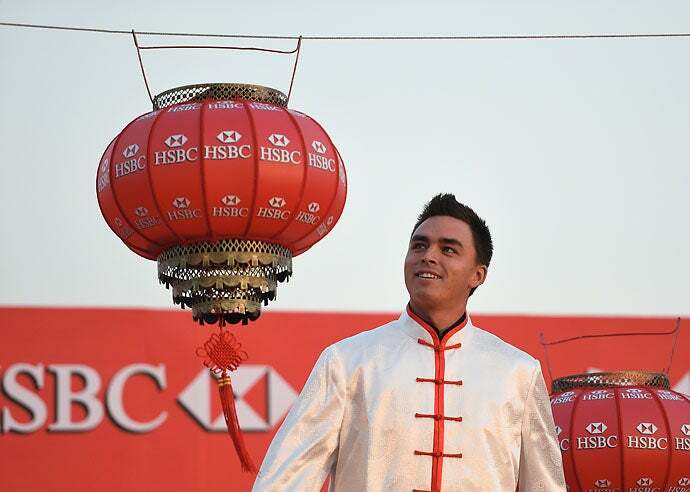 Rickie Fowler hangs a Chinese lantern at the Peninsula Hotel prior to the start of the HSBC Champions on Nov. 4, 2014, in Shanghai, China. 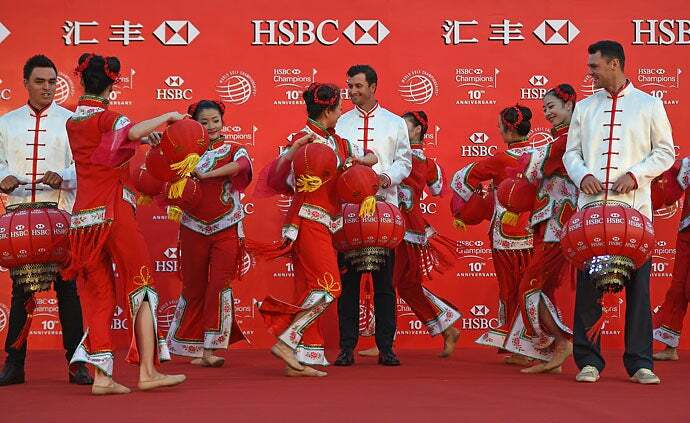 Rickie Fowler, Adam Scott and Martin Kaymer watch traditional dancers in Shanghai prior to the start of the HSBC Champions. 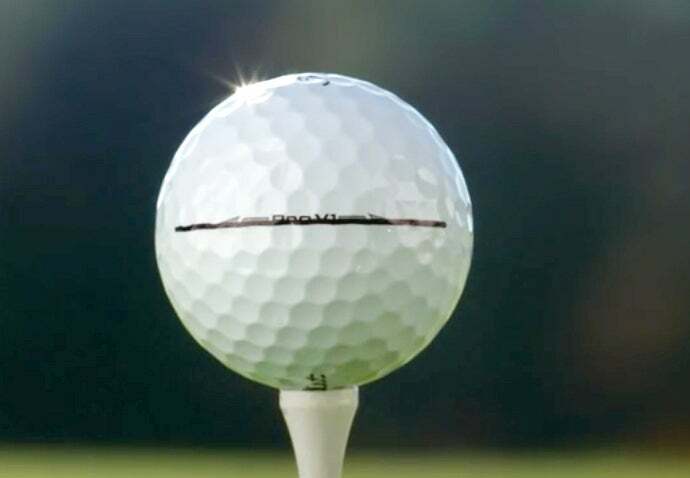 Bubba Watson is a long way from Waffle House. Here he hangs a Chinese lantern at the Peninsula Hotel in China. 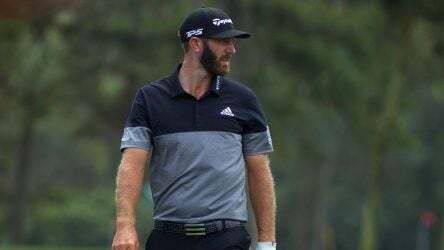 Dustin Johnson and Paulina Gretzky at a party for the 2013 BMW International Open in Munich, Germany. 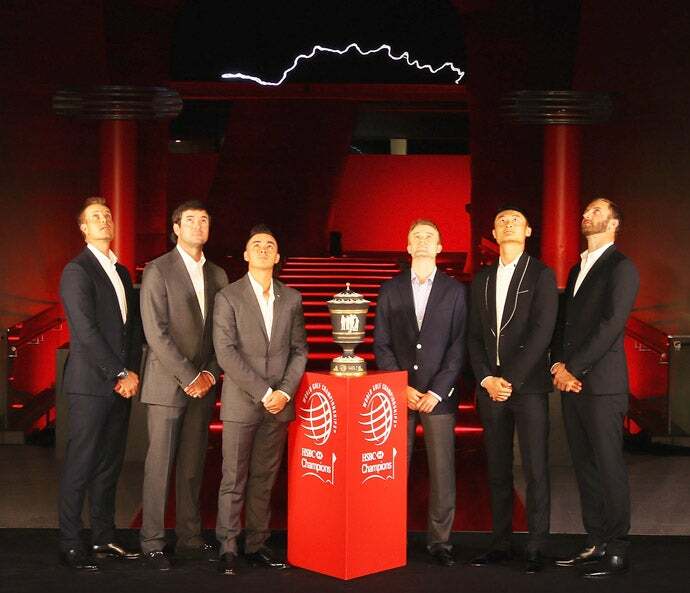 Jason Dufner, Justin Rose, Phil Mickelson, Rory McIlroy and a "Chinese warrior" joined defending champion Ian Poulter for a tournament photo shoot prior to the 2013 WGC-HSBC Champions. 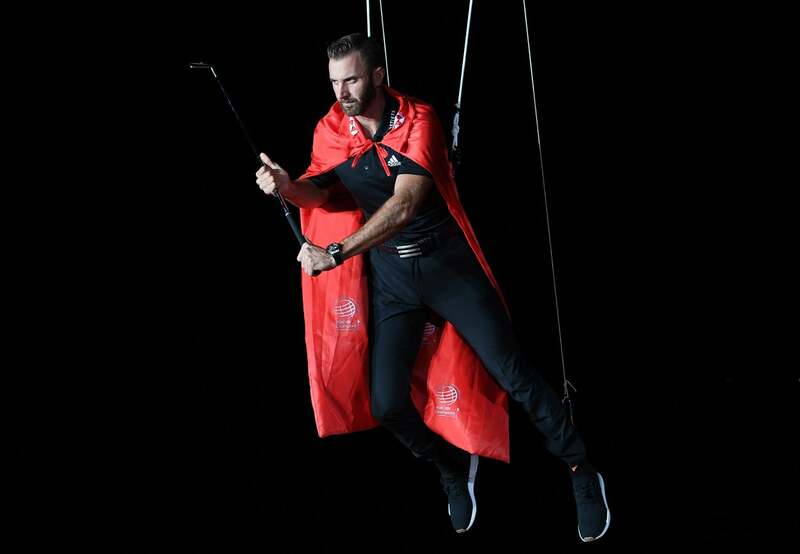 The PGA Tour stars dressed in traditional garb and wielded traditional weapons for the shoot. Phil Mickelson finished T2 at last year's event, two shots behind Poulter. 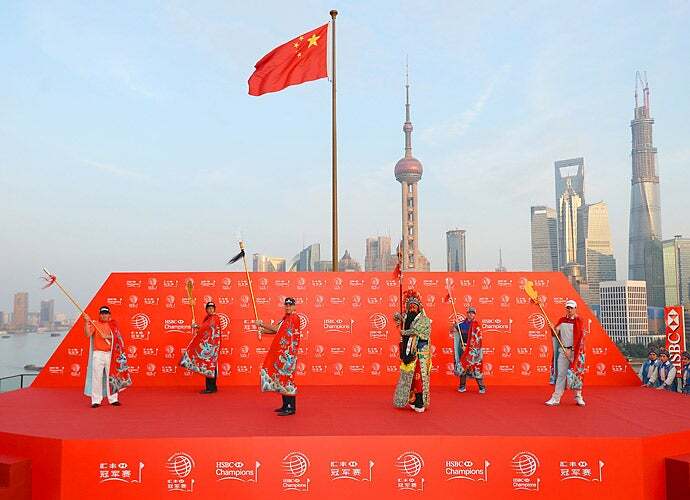 The Shanghai skyline provided a stunning backdrop for the photo shoot. Rory McIlroy, Tiger Woods and Justin Rose took part in a ceremonial coffee pour before the 2013 Abu Dhabi HSBC Golf Championship. 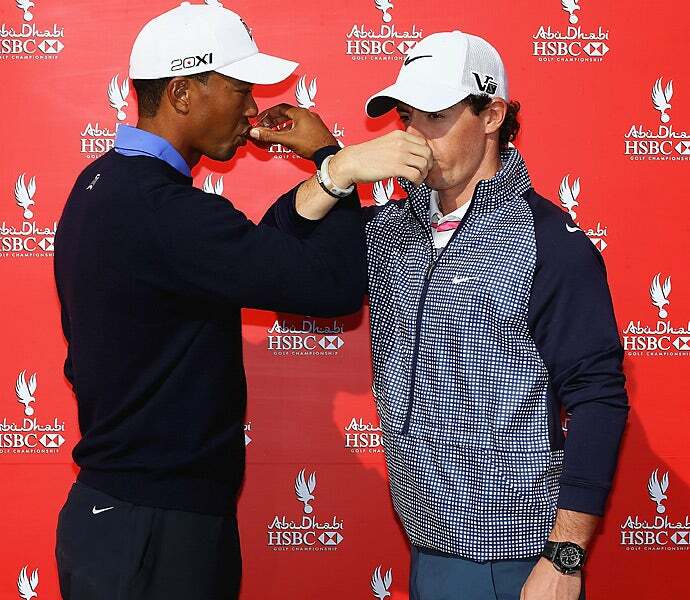 Woods and McIlroy also shared their own awkward cup of coffee for the press in Abu Dhabi. 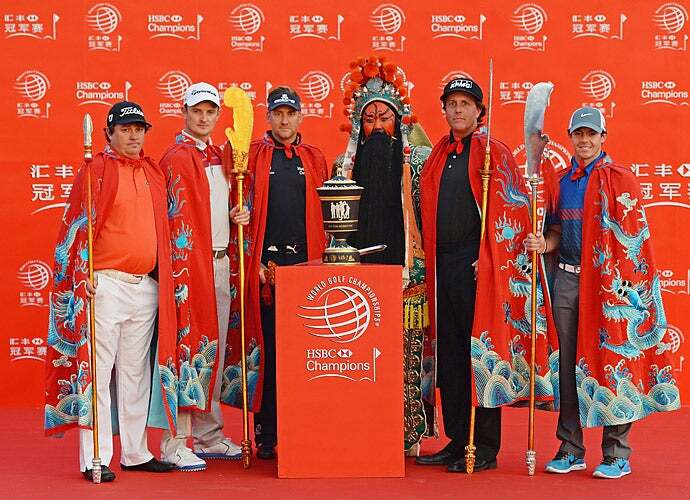 From left to right: John Daly, Hunter Mahan, Bubba Watson, Thongchai Jaidee and Sergio Garcia posed with a tuk tuk at the 2012 Thailand Golf Championship. 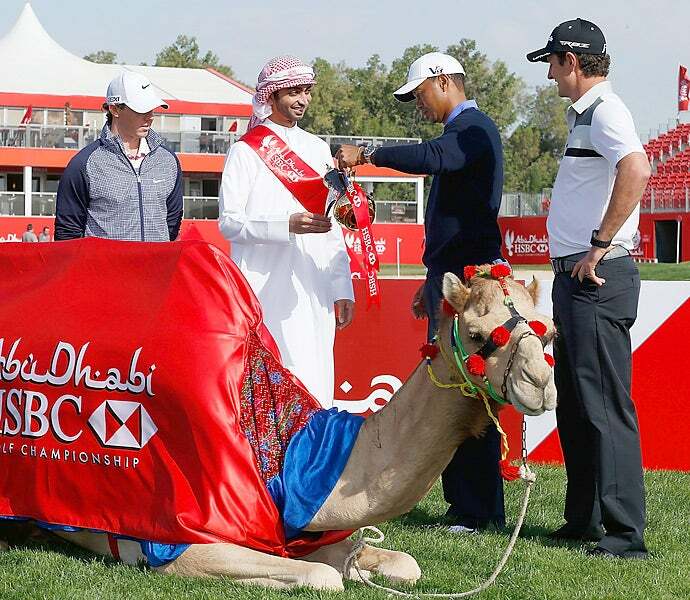 Michelle Wie joked around with a camel at the Jebel Ali Golf Resort and Spa at the 2012 Omega Dubai Ladies Masters. 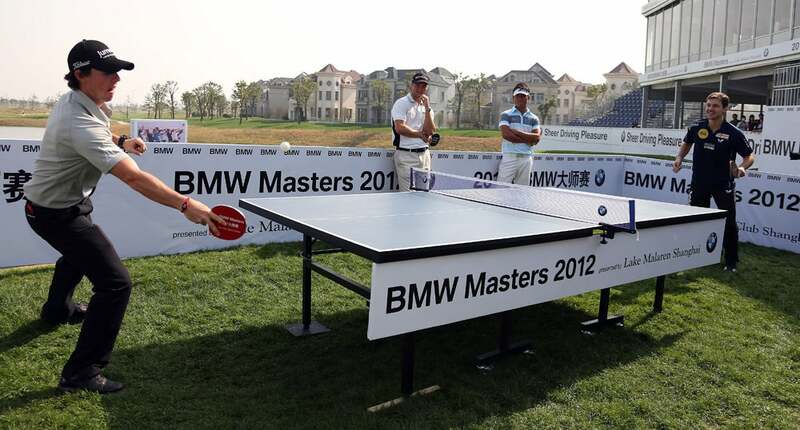 Rory McIlroy took on professional table tennis player Timo Boll before the start of the 2012 BMW Masters in Shanghai, China. 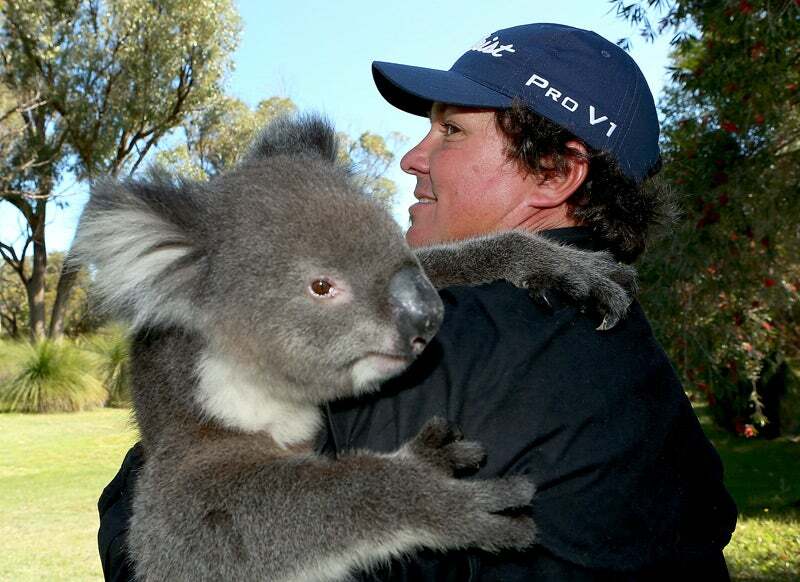 Jason Dufner got a bear hug from a koala after his round at the 2012 Perth International. 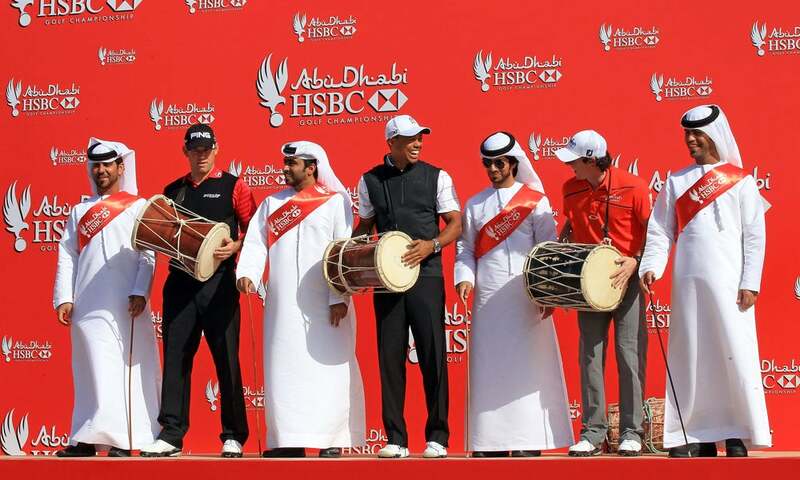 Lee Westwood,Tiger Woods and Rory McIlroy performed a traditional dance before the start of the 2012 Abu Dhabi Championship. 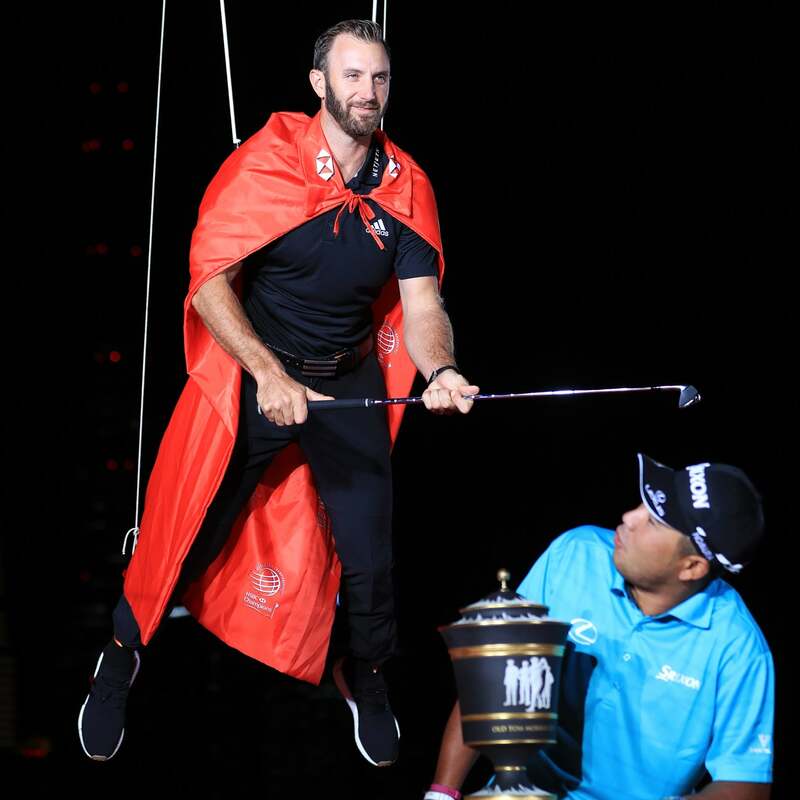 In 2010, Woods, Mickelson, Lee Westwood and Martin Kaymer engaged in some friendly sword play before the WGC-HSBC in Shanghai. 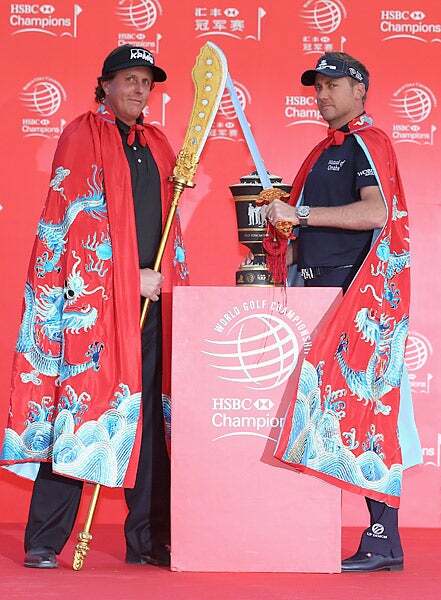 Phil Mickelson beat Woods in a game of Chinese chess at the 2009 HSBC photo call at the Shanghai Port International Cruise Terminal. 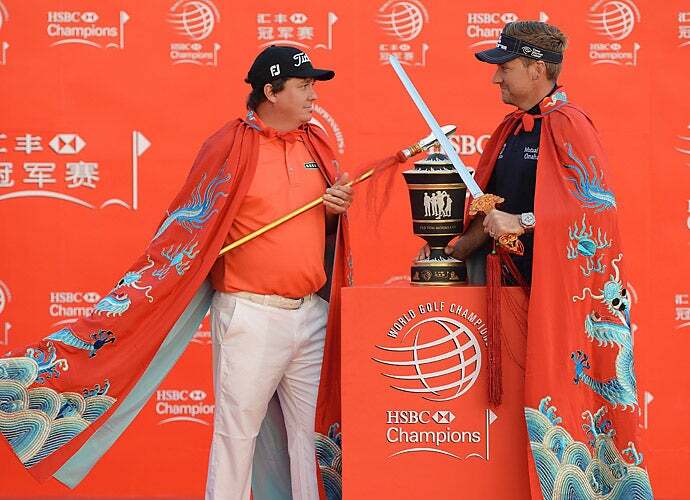 Henrik Stenson also wore lederhosen at the event, but Miguel Angel Jimenez opted not to. 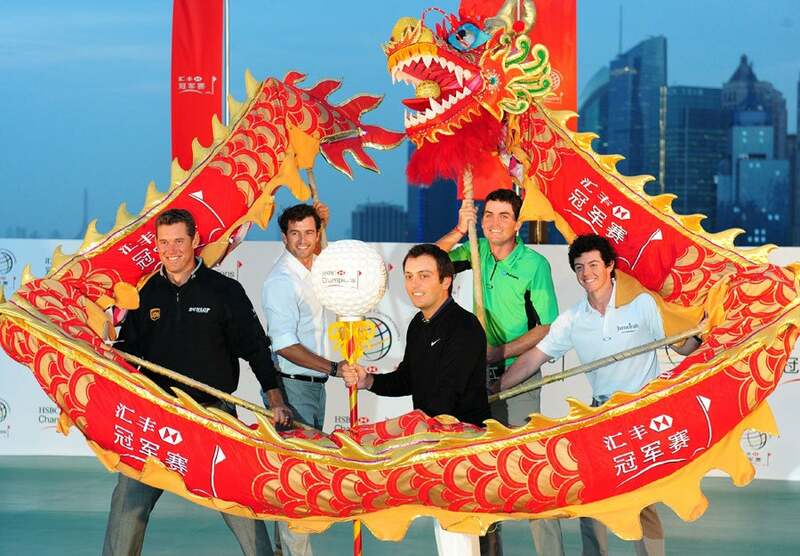 From left to right: Westwood, Adam Scott, Francesco Molinari, Keegan Bradley and McIlroy performed a traditional dragon dance on the historic Bund in Shanghai before the 2011 WGC-HSBC Champions. 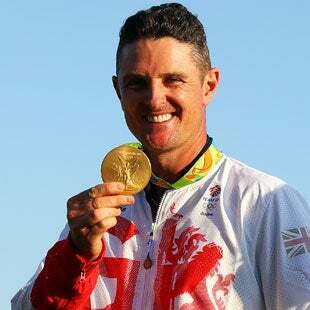 With the help of boat skipper Ian Walker, Kaymer took the helm at the 2011 Abu Dhabi HSBC Golf Championship. 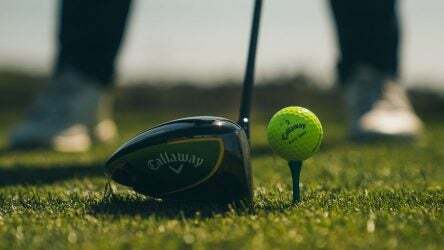 Kaymer was joined by Paul Casey, Louis Oosthuizen, Graeme McDowell, Mickelson, Jose Maria Olazabal and Westwood. 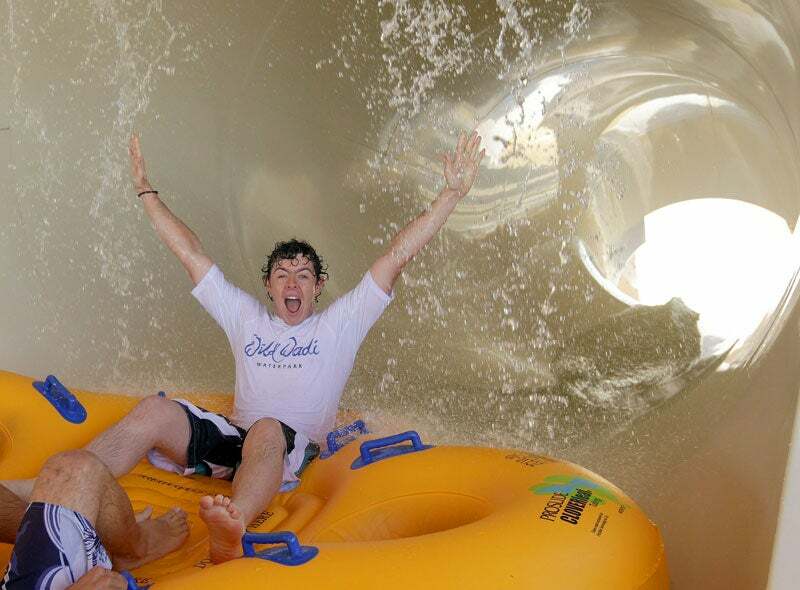 At the 2011 Omega Dubai Desert Classic, McIlroy tried the new rides at the Jumeirah Wild Wadi Waterpark. 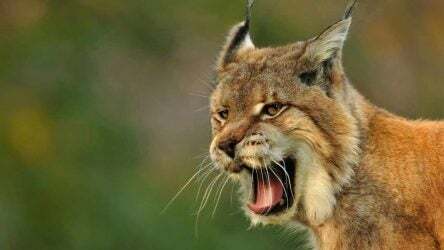 From left to right: Y.E. 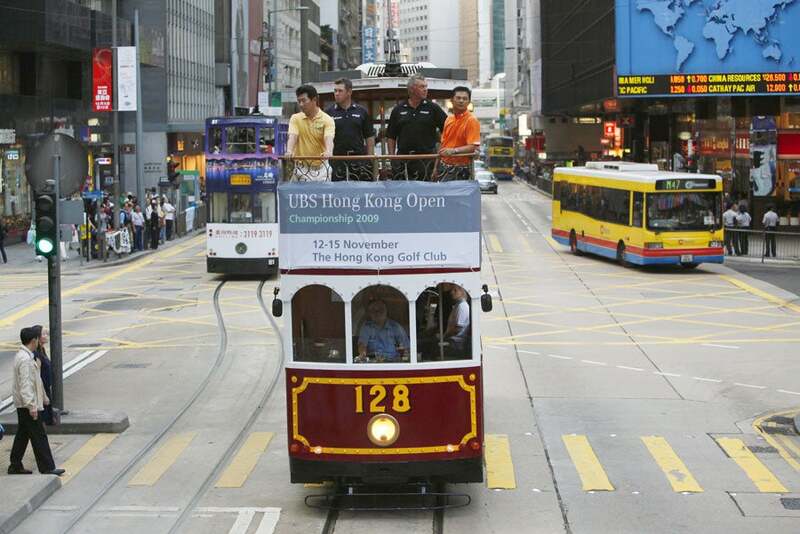 Yang, Westwood, Darren Clarke and Lin Wen Tang toured downtown Hong Kong on a tram ride before the 2009 Hong Kong Open. 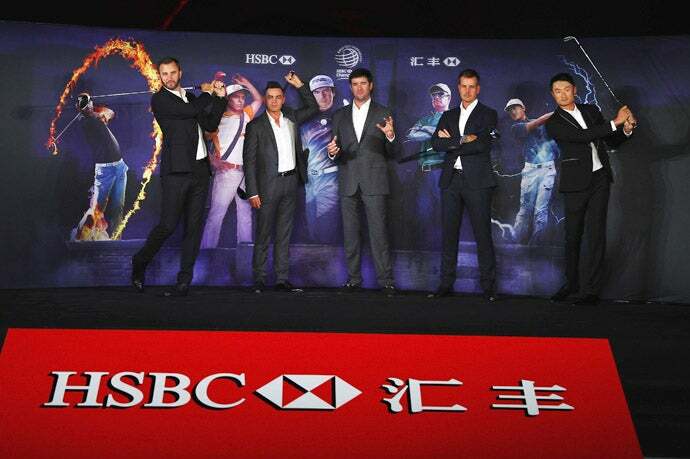 Justin Rose and Mcllroy received fans with their Chinese names on them at the 2011 Hong Kong Open press conference. 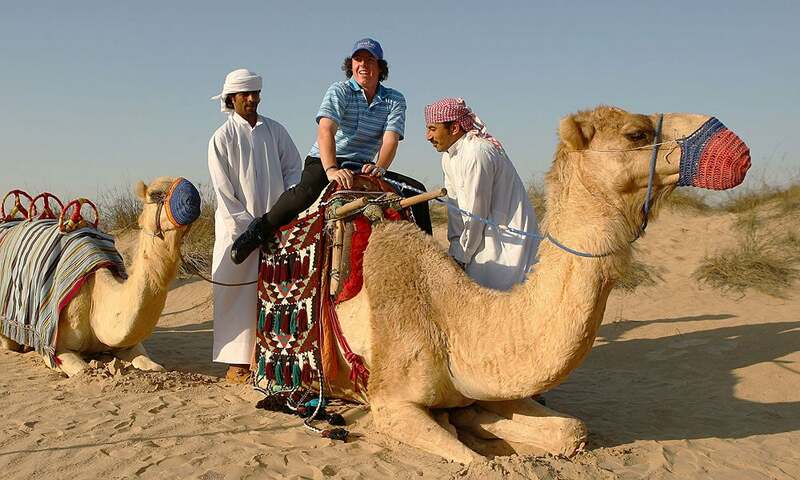 In 2009, McIlroy went for a camel ride while visiting the Bab Al Shams Hotel at Jumeirah Bab Al Shams Desert Resort & Spa in Dubai. He is the no. 1 player in the world, after all. He can do whatever he wants. 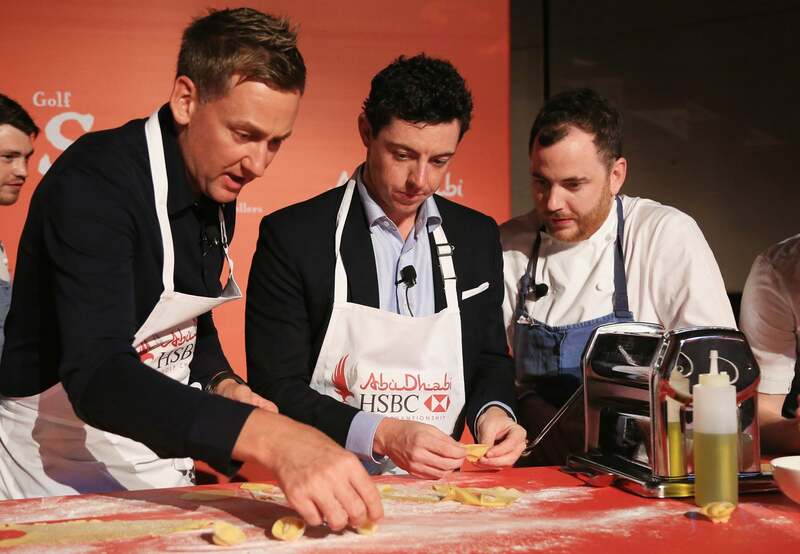 Rickie Fowler, Henrik Stenson, Rory McIlroy and Ian Poulter work with award-winning chef Tom Sellers during the 2016 HSBC Golf Story cooking challenge. 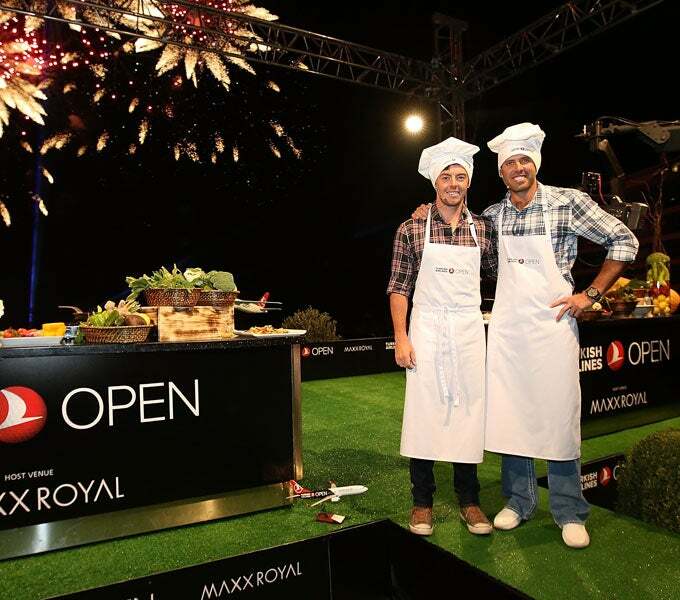 Ian Poulter and Rory McIlroy got close in the name of cooking back in 2016.